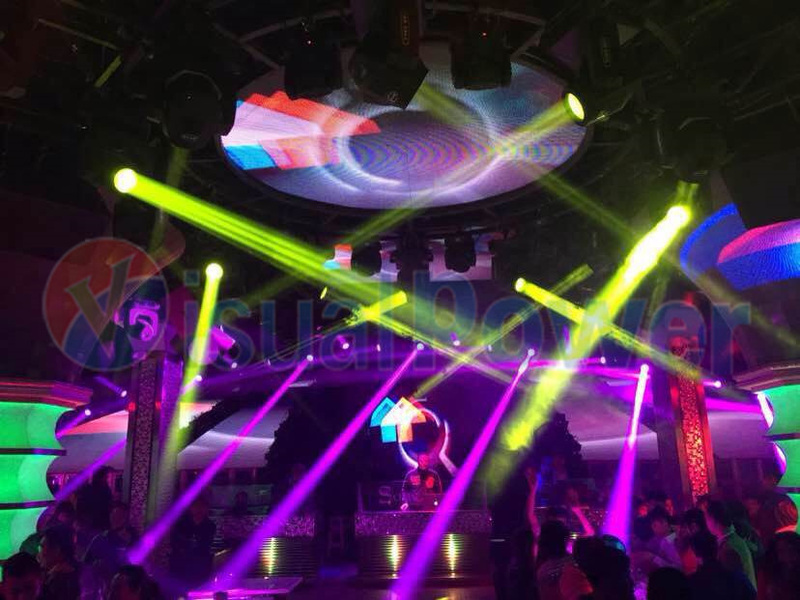 Rotating LED lighting truss is driven by a mechanic moter inside and can be controlled by DMX signal by LED lighting console. 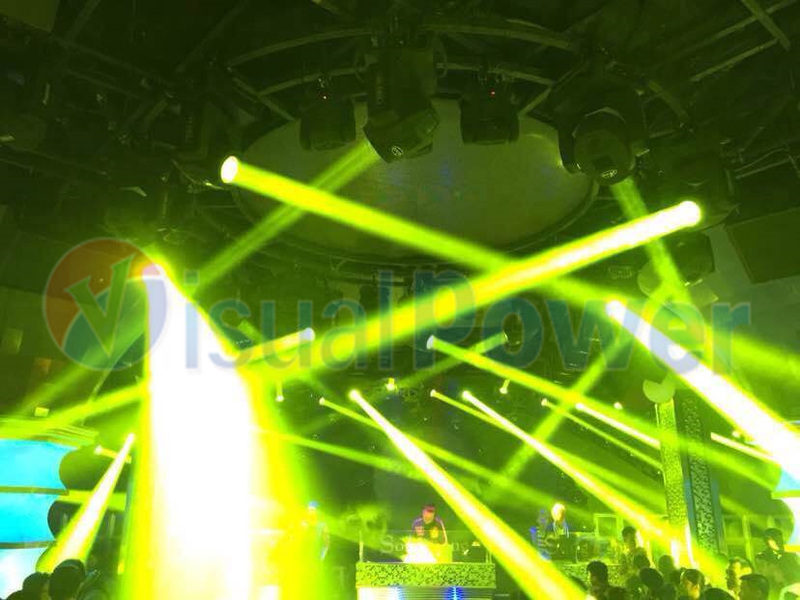 it is a combination of LED lighting and mechanics. 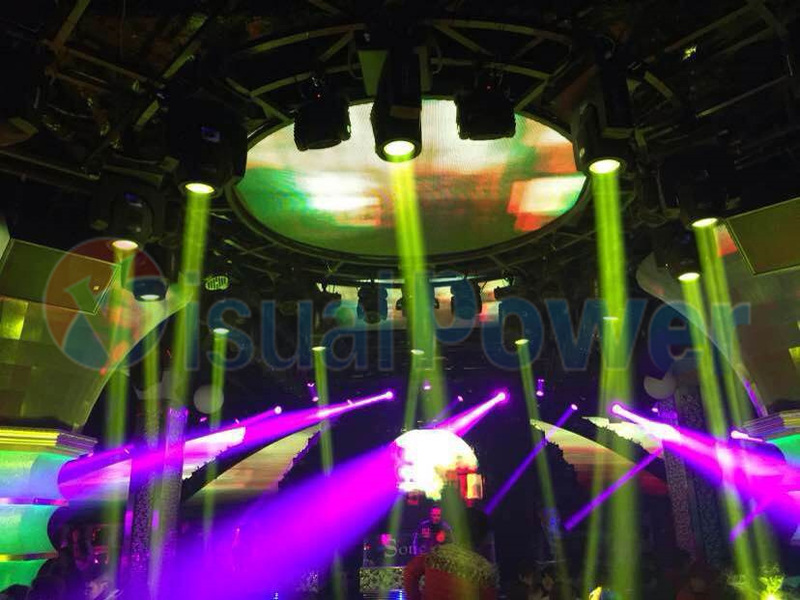 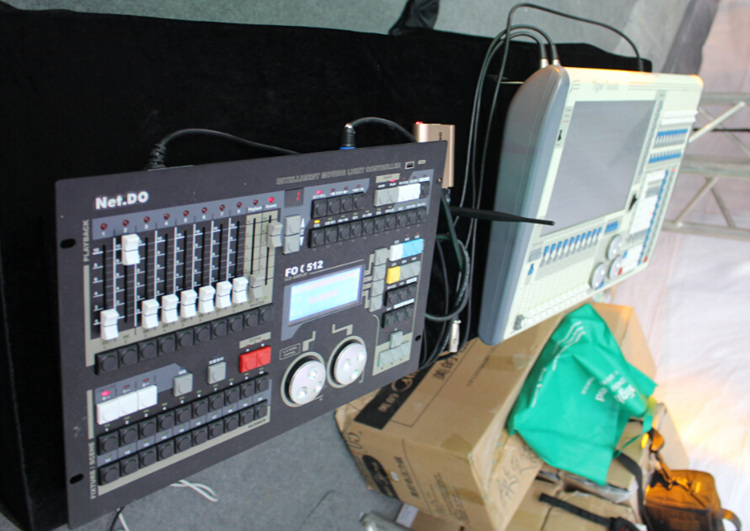 by the lighting console, you can not only control the LED moving heads, but also can control the truss frame rotating speed and direction, on stage and nightclub ceiling design, this is very useful to create special effects. 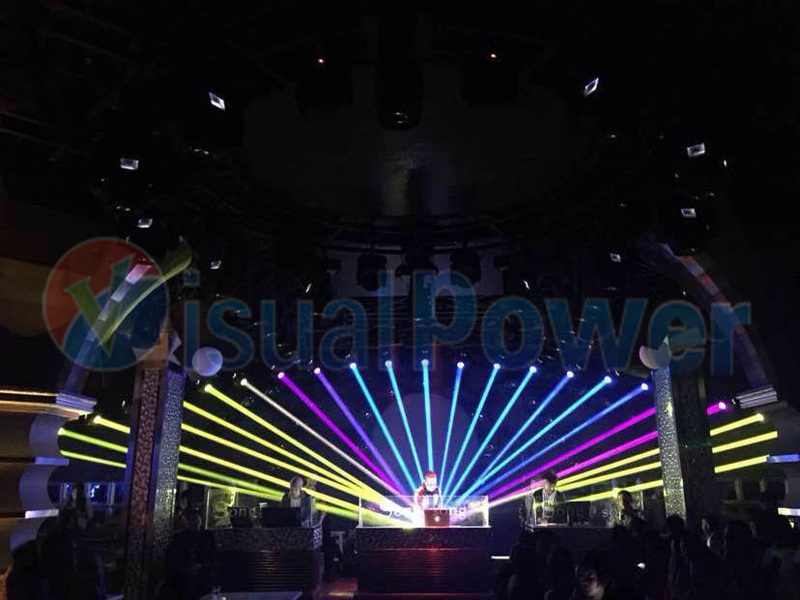 Visualpower not only combines mechanics and the led lighting together, but also can add a round shape LED display in the center to show clear video. 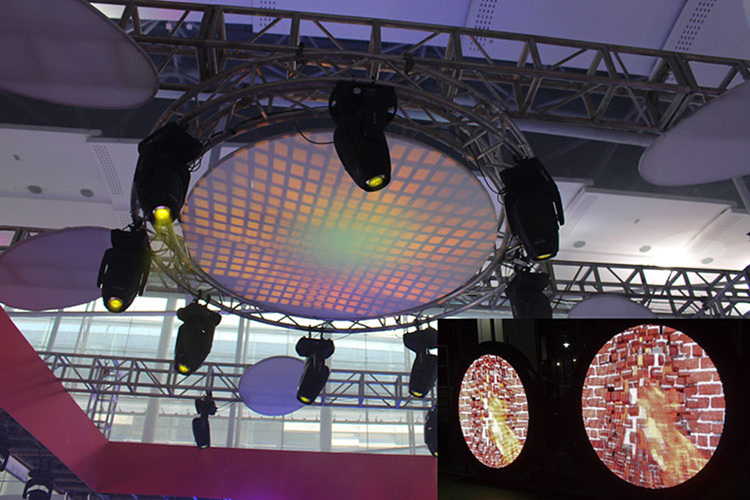 So the truss rotates and led lights flashes and the video playing at the same time, which can create an amazing effect. 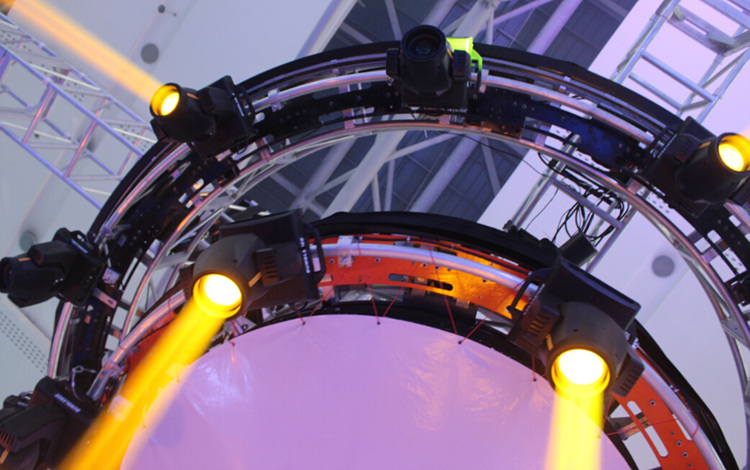 The truss sometimes can do two or more layers, which can create a large scale lighting, mechanics and video display integrated site effects. 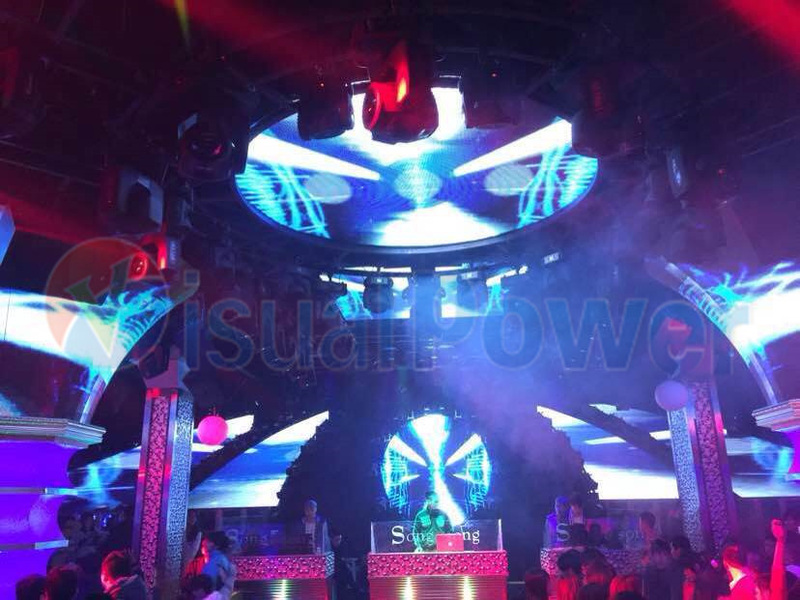 All the diameter of the truss and diameter of the round shape led display, and the pixel pitch can be customed due to specific project design.